Each year I sit down and think about what to write as the New Year begins and another year lies ahead. I always come back to the same thoughts. 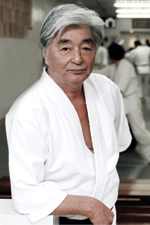 I feel lucky to be involved with so many people all over the world, and wherever I go the experience on the mat is always familiar – people smiling, and each one taking time in their busy lives to practice aikido for their own personal reasons. It’s important to not only focus on the fun of practicing, but on the technique and learning to execute the moves in a clear and meaningful way. I see that the students are working hard to achieve this and it’s important that the instructors continue to strive for this as well. 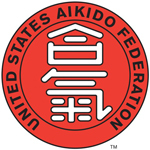 Aikido is a unique chance for people to do something positive for themselves and together, and that should always remain in each persons mind. This past December New York Aikikai hosted its annual Christmas seminar. It was the first seminar since we have completed our dojo renovations. It was wonderful to see so many people in the dojo, and to see the new beautiful space filled with all of our friends enjoying themselves. I am very grateful for this change, and hope you will have a chance to come and visit the dojo to see our new improvements some time soon. A sincere congratulations to all.